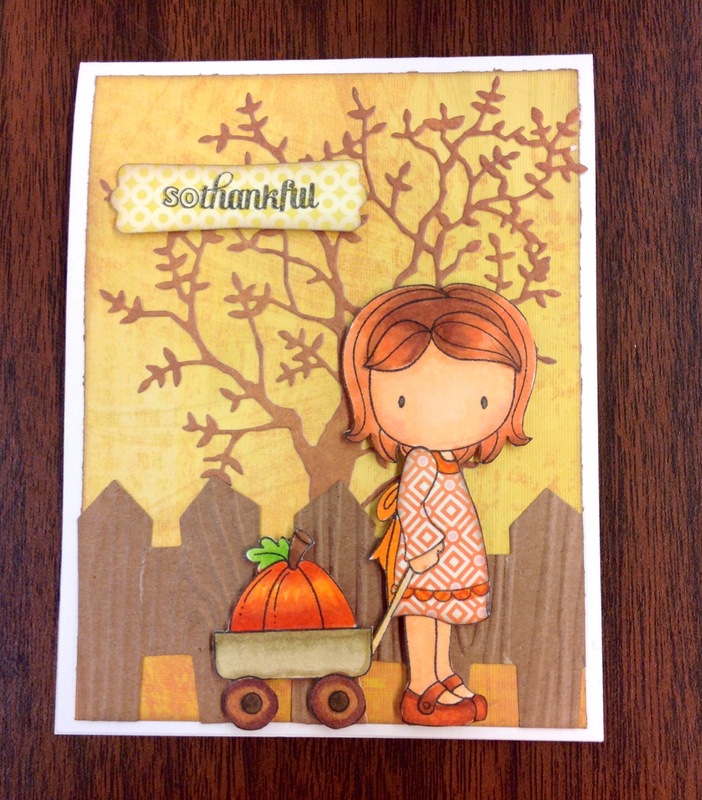 Used CC Designs Pumpkin Emma. Fence from CC Designs die. Used a Stampin Up embossing folder on the fence. Sentiment from Stampin Up, punch also from Stampin Up. That is such a sweet card.